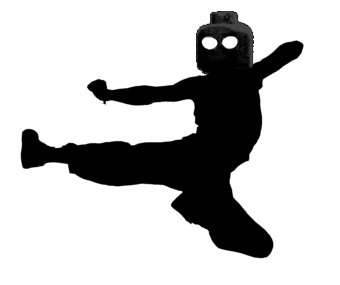 Have you ever heard the phrase about knowing just enough to be dangerous? That’s me that is! Last month I made the decision to make myself an electric ukulele. It’s not something I’ve ever done before but I thought that it might be fun to give it a go. Ever since then I’ve been fretting over the ukulele neck part of the build. Whilst I know that I could easily buy one, I’d really like to make my own. And being a long-time guitarist I kind of know just enough about guitar necks to realise that there may be more to this than meets the eye. The biggest problem you can encounter with guitar necks is that they don’t always stay true. Over time they sometimes develop a bend. 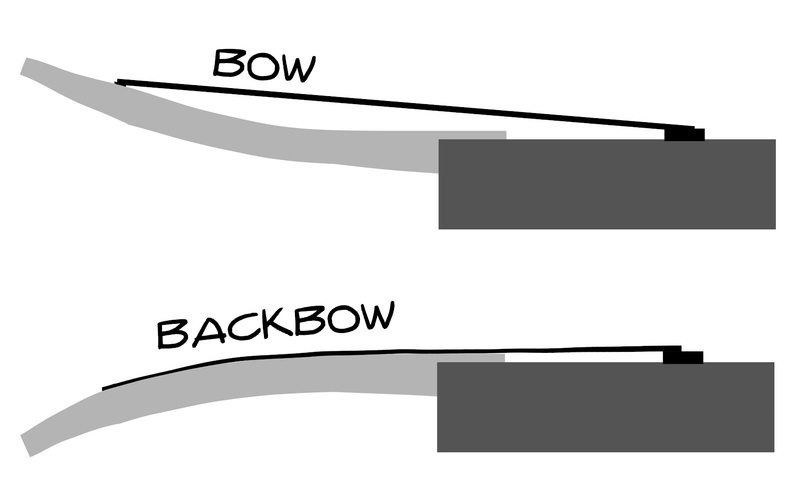 A bit of a bow isn’t necessarily a bad thing, but too much can make the instrument unplayable. 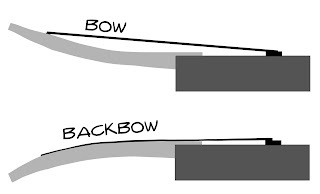 Typically, you can end up with one of the following two types of problem: ‘Bowing’ (where the neck bends to the front, forcing the strings away from the fretboard); or the less-common ‘Backbowing’ (where the neck bends backwards, forcing the strings closer to the fretboard). Neither are good. There are lots of reasons for bowing and I guess the question I’ve been asking myself recently is whether this is something I should be worrying about for my electric ukulele build. The main reason for bowing these days appears to simply be down to poor choice of wood. You need to get a type of wood that lends itself to neck-making (like maple), but you also need to take into account how the wood has been prepared. In the old days wood was allowed to age naturally and this is in part why old instruments are so sought after; they’re made from better stock. For my build, I’m more likely to be working with “green” or kiln-dried wood which is going to add to the lottery of how stable the neck is going to end up. Another consideration is the type of tension the neck is going to be put under. 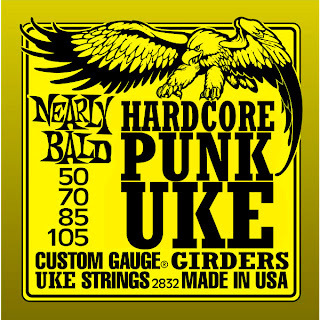 Heavy gauge steel strings are going to exert a lot more strain than plastic ones. I’m wanting steel strings with a low G tuning. The key to whether this might actually be a problem lies in the neck length. 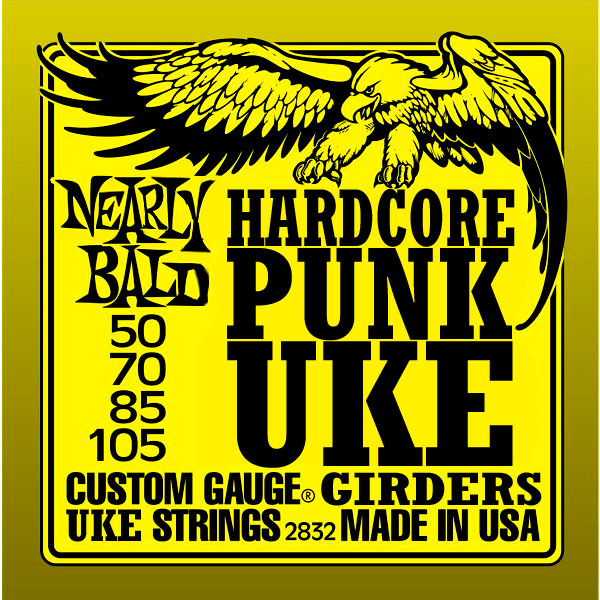 The concensus seems to be that steel strings shouldn’t be a problem for any size of ukulele… with the possible exception of maybe the largest: the Baritone. But even here the jury is out. Very few commericially built ukuleles come with truss rods which kind of backs up the idea that it isn’t going to be a problem. I’m thinking of building a Tenor. I should be okay! Truss rods are the traditional method for preventing neck bowing in a huge range of different types of instruments. There are different flavours of truss ranging from simple metal bars through to adustable rods that are fitted down a rod channel along the back of the neck, or under the fretboard. They all serve the same purpose: to reinforce the wood. As an aside: I’ve heard mention of using adjustable truss rods to play with the action of an instrument. Don’t do it… There are better ways of dealing with this particular problem. Apart from adding a bit of complexity to the build, using a truss rod may also have the disadvantage of altering the balance of the uke. Take it from me: there is nothing worse than a neck-heavy instrument. Time to put this one to bed. It looks like I’ve been fretting over nothing. Yay! This entry was posted in General News, King Uke's Posts by King Uke. Bookmark the permalink.